Success when you search again! For those who have been following me the name George Howard Busby will be very familiar! He is my great-grandfather and was the reason I started researching my family history back in 1986 trying to answer a query from my Mother. There had been a family split and she had never known her grandfather and she wanted to see a photo of him . His funeral notice seen two hours after his funeral showed he had been living for the previous twelve months within 20km of the family. I have written about him a number of times before: here, here and here as he was a very interesting person who seems to know I am looking for him. He drop hints and snippets of information here and there to keep the chase interesting. 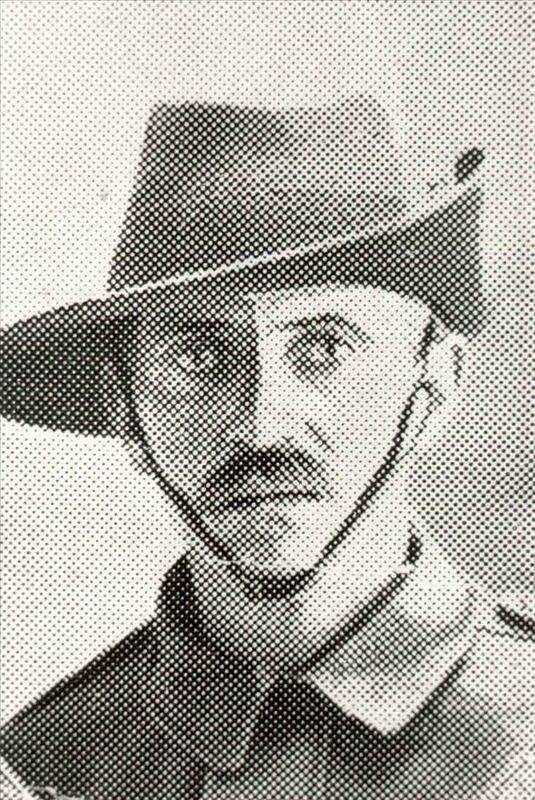 I did manage to find a picture of George in the Queenslander. This was back in the days before we had our wonderful digitised papers on Trove. It was thanks to the fantastic Library staff at the John Oxley library in Brisbane. 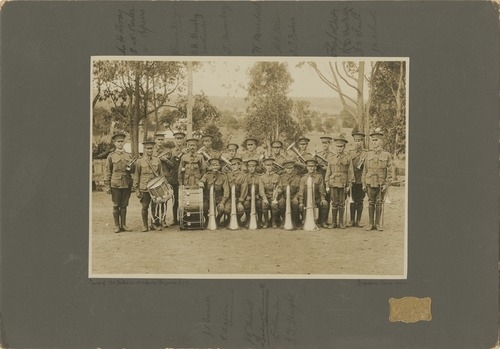 They had indexed the photos of servicemen leaving for World War 1 in the Queenslander and had written them up on a card index. I had come across another photo of George in a group shot of the Queensland Ambulance transport Brigade but George was not able to be distinguished as he was standing in the shadows. I have a Google alert for George and regularly run searches for him. Luckily Busby is not that common a name so searching as Busby, GH Busby, Busby GH, Busby G, G Busby, George Busby isn’t that difficult. Today I struck pure gold as TWO images showed in a search. 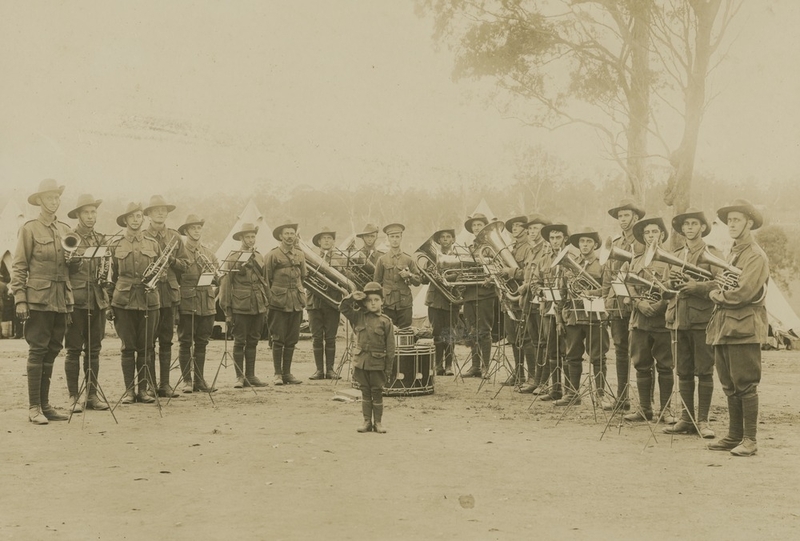 In a newspaper report which mentioned that George was a drum-major in the 15th Battalion. I was pretty happy about this and then looked at the second image. This one is not as sharp but has a major advantage as the individual names had been written around the photo. So the next thing to do when I can get an afternoon off is to visit the John Oxley Library to see the originals and buy good copies. These are both wonderful finds and prove the old adage of never giving up! It is a shame that my Mother passed on last year and wasn’t here to share in the joy of this discovery but I am sure she is observing from above. Maybe she has even had a chance to meet her Grandfather at last.